Llama Training with Bobra Goldsmith: What’s in the DVD? Click on the image above to find out more about Llama Training with Bobra Goldsmith, or on the one below to find out about Training Llamas to Drive. 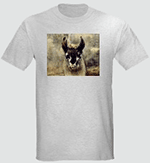 Clicking on the image above takes you to our t-shirts, sweatshirts, mugs, tote bags, notebooks, calendars, and more with this design.... Clicking on the image below takes you to all our llama designs on various items. Bobra’s profound understanding of llamas is evident throughout this program. She and other people have also used these methods for alpaca training. Here is a list of what you get. 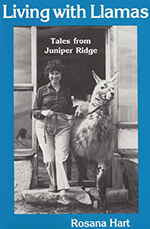 There’s atw0-minute llama training video excerpt from this DVD on the homepage of our site. 57 min: An adult male learns to load in a trailer and in a van. 1 hr 8 mins: A female puts her head down. 1 hr 10 mins: A tall male stretches up. 1 hr, 24 mins: A young male resists quite vigorously. Now a Free PDF Ebook! Go to the download & info page by clicking on the book cover. If you click through on the links I provide to Amazon and other vendors, and if you make a purchase, in most case I receive compensation. See details on the About Us page of this site. 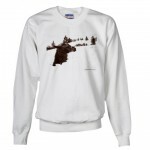 Copyright © 2009 Llamas Information. All Rights Reserved.